Yes, I might not appear to be the typical Jane's Addiction fan, but this album is incredible and it brings back a ton of good memories. Yep, I've mentioned Air Supply before. I have this on LP also. It has sentimental value and freaks out people when you pull up to the post office with it blaring full blast. Jude Cole - "Start The Car" : What a great album. Where is this guy now? Worst lyric on the whole album - "I woke up this morning in a Motel 5". Eh? Dada - "Puzzle" : One of the most solid albums of the '90's - I like every song. The final song, "Moon", is just plain haunting. I still need to get this one on CD. 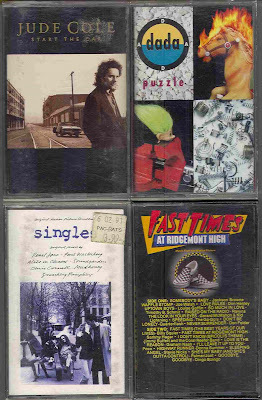 "Singles" soundtrack : A great Cameron Crowe soundtrack here - Paul Westerberg, Jimi Hendrix, early Pearl Jam. "Fast Times At Ridgemont High" soundtrack : Another Cameron Crowe movie soundtrack. He did not produce this one but it is fantastic. You'd be hard pressed to find a better snapshot of great early 80's music. Another ode to marching band - a tape of my high school band playing the 1991 show. Last week, my oldest daughter started fiddling with the buttons on the cassette player I still have that rarely gets played. She figured out how to open the door and was puzzled. I had to explain what a cassette tape was since she had probably never seen one. I guess I got my first CD in 1986 but I did not have a car that had a CD player in it until 2000. 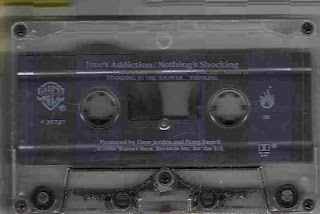 In high school, I received this nifty cassette tape case for my birthday. It remained in my first car (1985 Chevy Cavalier) for the entire time I owned it. When it died in 1995, I took out the case and have left it exactly as it was. It really didn't change much after 1992 and now it is a time capsule of sorts. 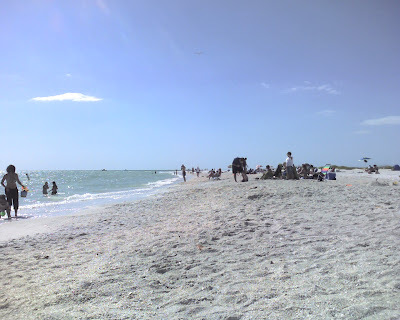 We did the best to get out and see the beaches today after finishing up around noon at the building. It helps to have unlimited miles on the rental car and a vague idea of where we are going. These are at Lido Beach - which is right near Sarasota. I am trying to keep the Twitter and TwitPic updated while I am out and about. We fly home Monday. We've done quite a lot in a very short amount of time on this trip and I am just about tired. Before I head to bed, here is a video that I might have posted before (can't remember). 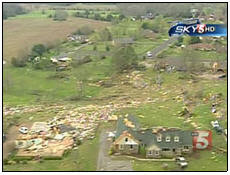 We used to shop at Zayre in Madison, TN years and years ago. My thought : there is way, way too much going on in this commercial. Time to pull persona #2 out of storage and hit the road again tomorrow. 12 hours from now I will be on Southwest flight 1045 descending toward Tampa for another conversion. I've spent the last 6 weeks or so working on converting all of these locations from the system our old owners had to the system our new owners have. It's my third year of conversions. 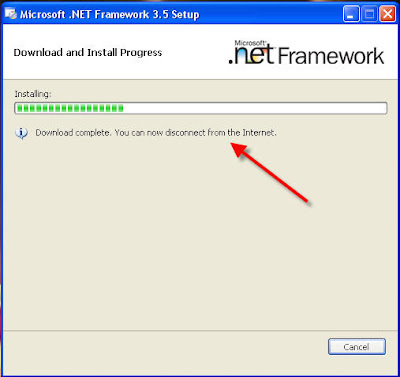 Some sites I just converted last year were converted AGAIN this year. Fun fun fun. After 6 great seasons, Corner Gas is going out on top. 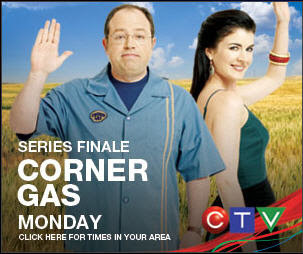 If you have never seen Corner Gas, you can check out this eason at http://www.ctv.ca. (Once upon a time WGN showed it in the United States but they decided to stink again and shoved way out in the middle of the night). I love Corner Gas - it is my favorite show and I will miss it. Something hilarious happens in every episode. 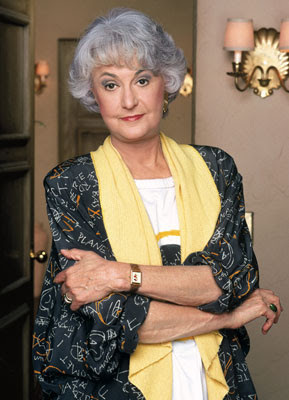 It is right there with Seinfeld in writing and with Mary Tyler Moore in casts that just "gel". So, I'm down to "Big Bang Theory" (which is on a roll this year), "How I Met Your Mother" (which is kind of slipping), and "The Office" (which is really slipping). I can only hope for a Corner Gas movie now!! Easter 2009 came and went. The kids woke up at 6AM and found their baskets right away. Now we are all beat and hoping for bedtime very soon. 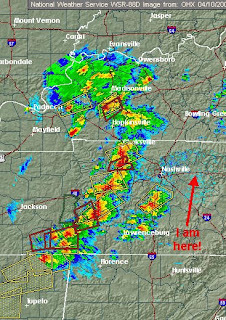 The rain has held off so far but tomorrow looks rainy and tomorrow night will be stormy again. 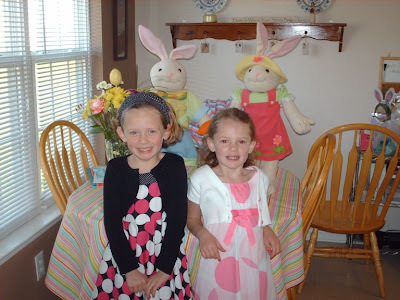 Sara and Lindsay in their Easter best. The kids and the old man. Being a huge music nerd growing up, this is the one Easter gift I still have. I was 10 years old and got "The Everly Brothers Reunion Concert" on 2 LP's (Kids - those are those big old spinning disks I showed you) for Easter 1984. We had listened to it live on the radio and I had to have it. This concert and Simon & Garfunkel's Central Park reunion concert in '81 are my two favorite live recordings.